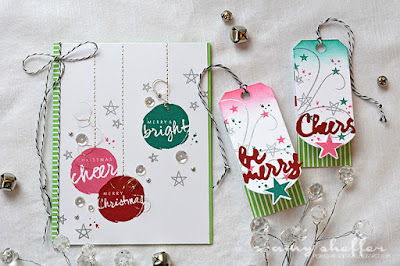 I'm over on the Taylored Expressions blog today with one of my favorite creations of the year. I had a super fun time watercoloring with Distress Inks on little hexagon canvases and exploring shape and texture. Taylor has called this card "warehouse chic." 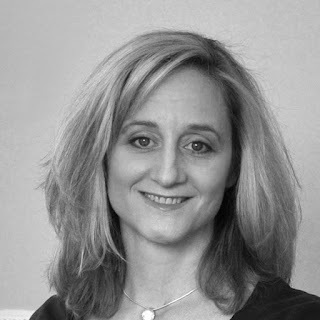 Pop over to the TE blog and see if you agree! 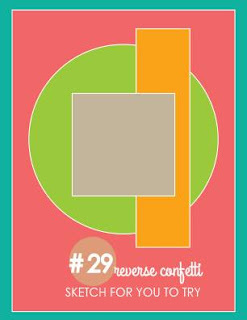 Reverse Confetti's October Sketch For You To Try challenge is still open -- have you played along? The entry deadline is noon CST October 29. Like much of the paper crafting community, I am seriously crushing on Melania Deasy right now. 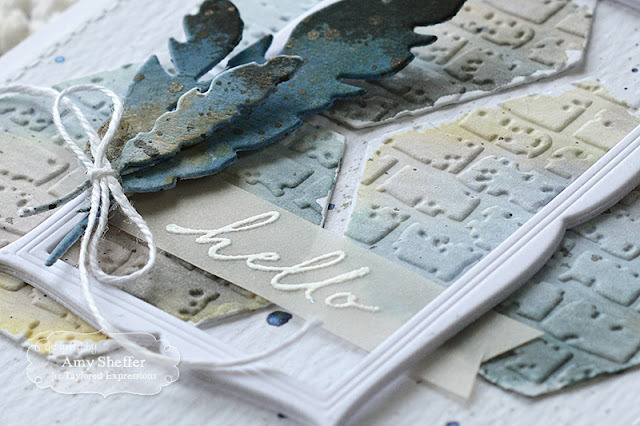 Her lovely creations, with their soft colors and beautiful ink blending, are the inspiration for my sketch sample today. The background was done with ink blending in a light pink and light green. The reindeer, from Jolly Holiday, was die-cut with Jolly Holiday Confetti Cuts dies, then colored with Zig watercolor markers. 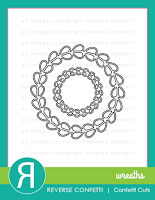 I layered a white linen card stock panel with a large circle window cut out over the top. Around the opening, I added two Wreaths Confetti Cuts die-cuts, one in white card stock sponged in green, and the other in vellum. For the vertical element, I added a length of pink stitched ribbon tied off in a bow. 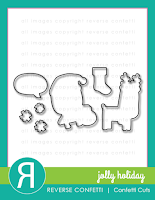 Accents include snowflakes from the Holly Jolly Confetti Cuts set and PTI Rainstones. Along the top, I stamped snowflakes in a light pink, and along the bottom, I added a hint of pink sponging (hard to see in the photo). Visit the Reverse Confetti blog today for more sketch inspiration. I often reach the end of a Papertrey release with piles of ideas and extra projects that aren't quite complete. Today, I'm sharing two cards in the same colors and style as this card and these tags that I posted during the October release countdown. I love when I can circle back and finish up the leftovers! You can see the resemblance, with the same stamps, dies, papers, and colors. 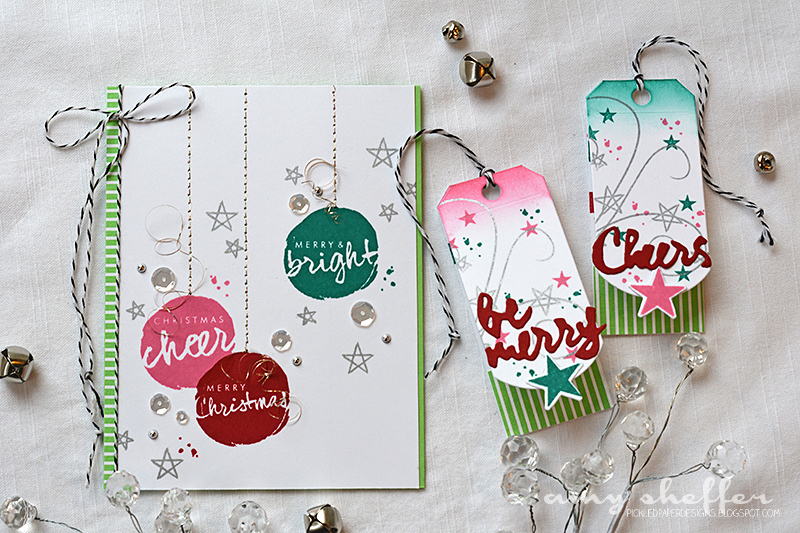 On this first one, I started with one of the papers in the Star Scribbles Foil Patterned Paper Collection. 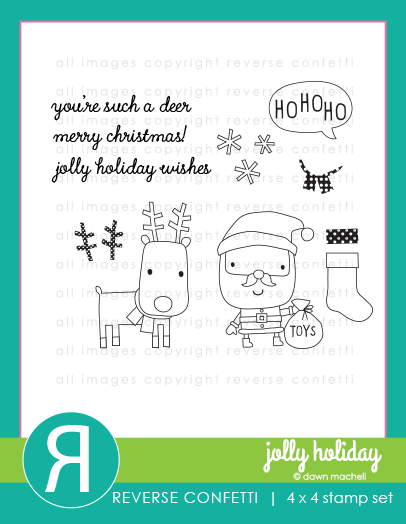 In the sketched rectangle, I added a layer of Vintage Jadeite + White Basics Patterned Paper. 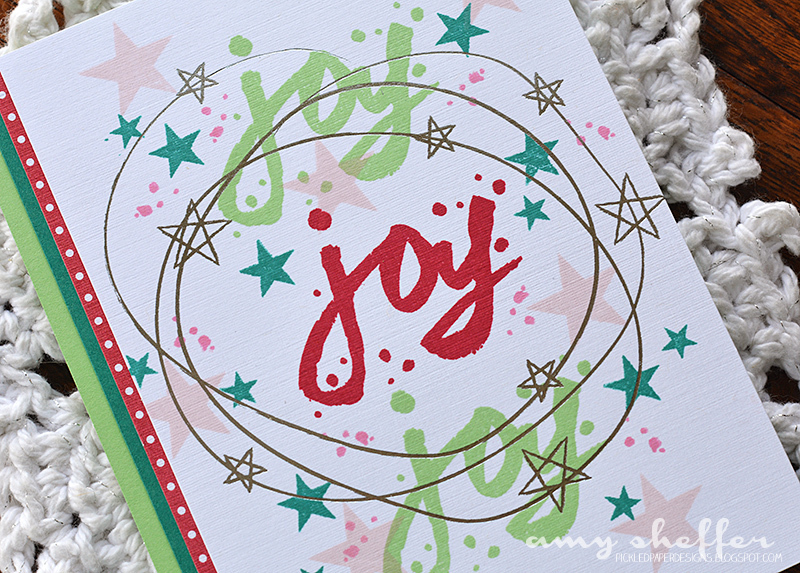 The "joy" sentiment is from the Wet Paint Holiday Tags dies, and the stars are from the Sketched Stars die set. 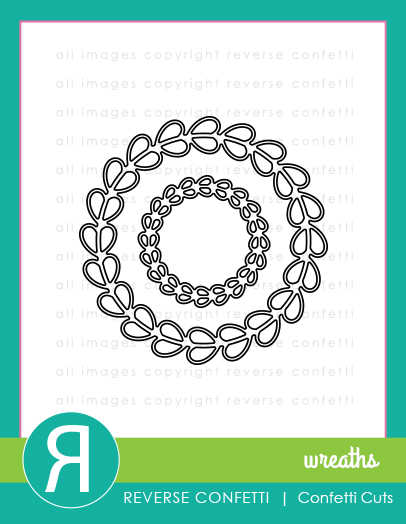 This card also begins with a pattern from the Star Scribbles Foil Patterned Paper Collection. The rest is just lots of colorful stamping! 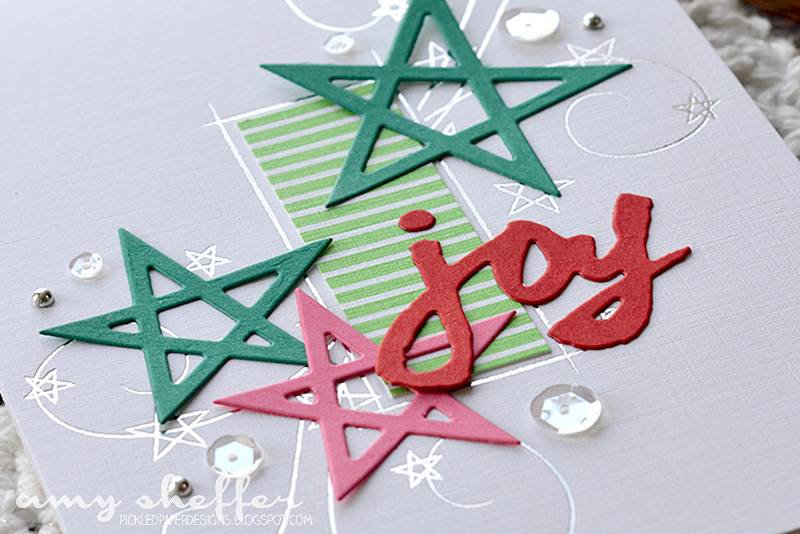 "Joy" and the ink splatters come from the Wet Paint Holiday Tags set, and the solid stars are all from Star Scribbles. 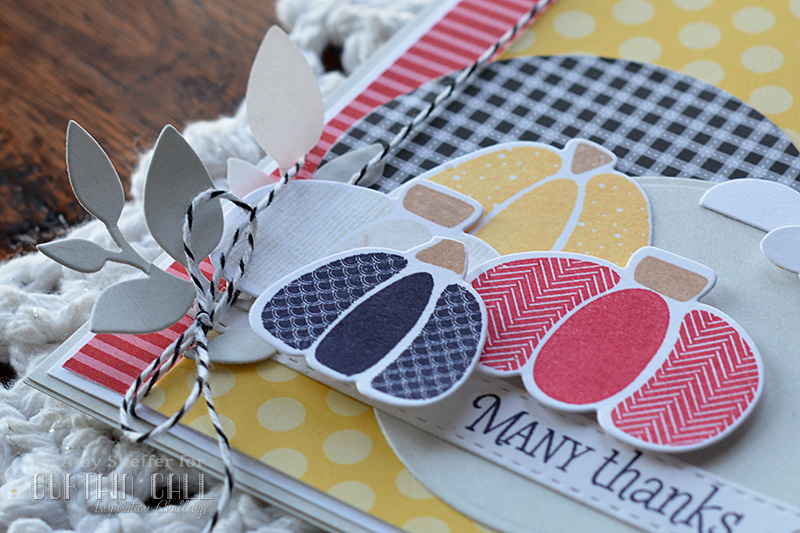 Along the left is a border of Pure Poppy + White Basics paper and Tropical Teal card stock. Everything is adhered to a Vintage Jadeite top-fold card base. These were SO quick and easy to create. I love all the color! Aren't those fun? I knew Papertrey's Pumpkin Patch would be perfect because the patterns are already built into the pumpkin designs! I die-cut a quartet of pumpkins using the Pumpkin Patch dies and stamped them in colors to match the challenge photo, then arranged them on some large circles and background elements in those same colors. 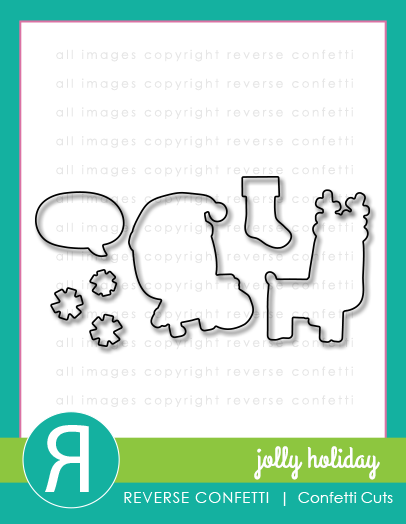 For an accent, I tucked in some Branching Out die-cut pieces and added a pair of clouds from Blue Skies. 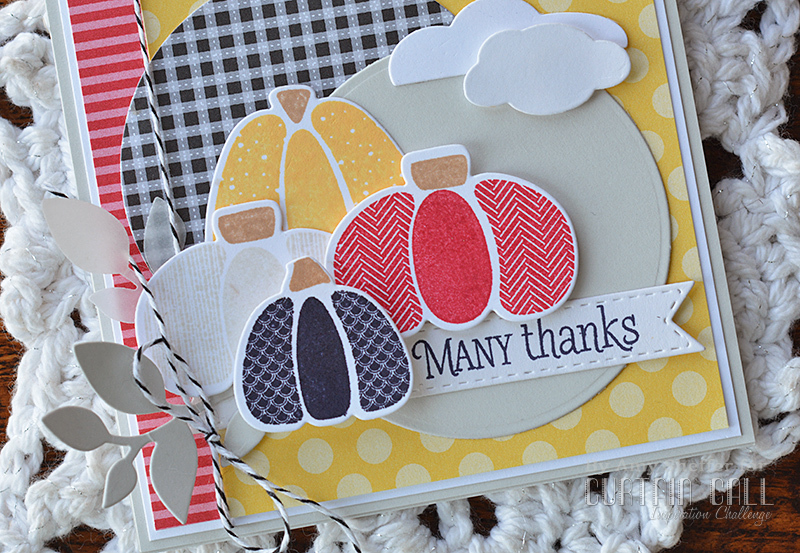 The sentiment is stamped on a stitched banner that's part of the new Tag Sale: Quilted die set. 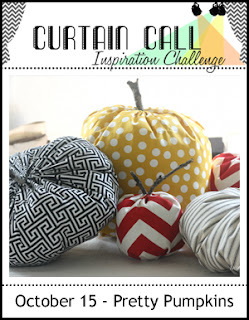 If you haven't played along with the Pretty Pumpkins challenge, there's still plenty of time! You have until 8 am CDT October 25 to link up your entry. Visit the Curtain Call Challenge blog for additional details and the link-up list.